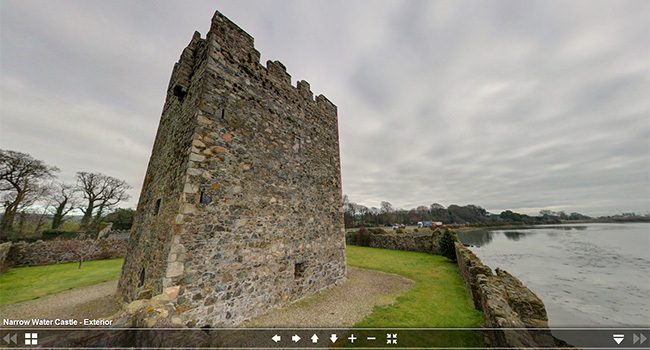 Narrow Water Castle is a famous 16th-century tower house and bawn near Warrenpoint in Northern Ireland. It is beside the A2 road and on the County Down bank of the Newry River, which enters Carlingford Lough a mile to the south. There has been a keep on this site since 1212. 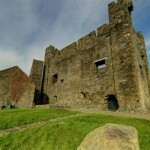 It was a strategic spot and was originally built by Hugh de Lacy (first Earl of Ulster) as part of the area’s Norman fortifications to prevent attacks on Newry via the river. 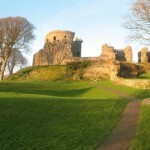 In the 1560s, the tower house and bawn were built. 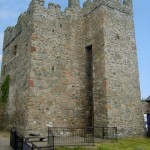 It is a typical example of the tower houses built throughout Ireland from the 14th until the early 17th century. 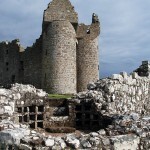 This kind of building, normally rectangular in plan and three or more storeys high, comprised a series of superimposed chambers, with stairs, closets and latrines skillfully contrived within the walls (which are 1.5 metres or five feet thick in places). 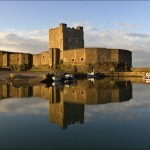 The east coast of Ireland was protected by many castles to provide strong defence and contact with Dublin. The sea route from Dublin to Newry would include Drogheda, Dundalk, Carlingford and Greencastle. Narrow Water covered the centre of the Lough. (Children under 16 years must be accompanied by an adult).